State-owned broadband service provider Bharat Sanchar Nigam Ltd (BSNL) has decide to offer some goodies to its prospective Broadband customers across all the telecom circles. BSNL will now offer concession to its prospective broadband customers for a period of 60 days.Now security deposit on Broadband Modem (CPE) will be taken in 3 equal monthly installments starting from the first bill.The security deposit for wire-line will be taken in three equal monthly installments starting from the first bill . The waiver of installation charges will be on promotional basis which will be valid for a 60 days. Well it is time, for me at least , to think about the CABLE net (of the cable operator) which is good and competitive and do away Fixed Line BB! 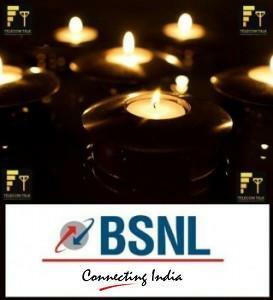 BSNL will never come out their obscurantism w.r.t plans, tariffs etc.